The transformation of the Communist Party USA (CPUSA) into an opportunist political organisation has been a long process. Since 1988, the CPUSA endorses the candidates of the bourgeois Democratic Party: Dukakis (1988), Clinton (1992, 1996), Gore (2000), Kerry (2004), Obama (2008, 2012). In an article published yesterday on 'People's World', the presidential nomination of Hillary Clinton is presented as "a major milestone in the fight for women's rights". Once again, CPUSA endorses a political representative of the U.S. monopoly capital and a war criminal. What a shame really for a party with such a long, significant history and close ties with the U.S labour movement. Hillary Clinton, like Donald Trump, is a choice of the U.S. monopoly capital, of the country's bourgeois class, for the position of the President. Mrs.Clinton's service as Obama government's Foreign Secretary is known and has been proved disastrous: Libya, Haiti, Honduras, Iraq, Syria, Yemen. The people of these countries know, better than anyone, what Imperialism means and what was Clinton's contribution in war crimes. However, we aren't surprised by the choice of CPUSA to become a 'left' wing of the bourgeois Democratic Party. Despite it's self-identification as a party devoted to the principles of Marxism-Leninism (CPUSA Program, 19 May 2006), the CPUSA has actually abandoned scientific socialism, thus being transformed into a social-democratic political organisation. What kind of 'communist' would endorse Obama or Clinton? What kind of 'marxist-leninist' would accept to participate in a game of choice between Scylla (Democrats) and Charybdis (Republicans)? Does it make any fundamental difference for the U.S. working class if Hillary Clinton or Donald Trump become President of the country? The CPUSA leadership's policy fosters illusions and disorientate the U.S. working class from the real aim which must be the struggle for Socialism. Furthermore, the entrapment of the U.S. working class in a choice between "Democrats and Republicans" or "Clinton and Sanders", consist a clear betrayal of the Marxist-Leninist principles and an opportunistic demagogy which works in favor of the bourgeois establishment. 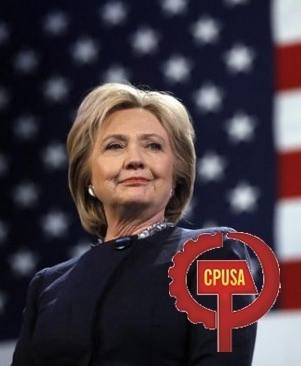 We strongly denounce the CPUSA endorsement of Hillary Clinton and call the working class, the low-income people of the United States to avoid being trapped in the bipolarism of "Democrats vs Republicans". The only choice of the U.S. labour movement is to reject opportunism and move towards the revival of the Marxist-Leninist ideals, for a society without exploitation, for the final victory of the American people over capitalist barbarity. In Defense of Communism, 9 June 2016. 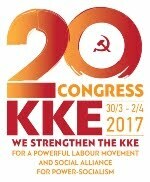 THE POSITION OF KKE ON THE WEBB'S PLATFORM AND THE DEVELOPMENTS IN THE CPUSA. Rizospastis, 17 April 2011 / inter.kke.gr. In February 2011 the chairperson of the CPUSA, Sam Webb, published an article in Political Affairs, the electronic publication of the CPUSA, entitled “A Party of Socialism in the 21st Century: What It Looks Like, What It Says, and What It Does”. Even if the specific article is accompanied by an editorial note which claims that “The following article represents the views of its author alone. It doesn't necessarily reflect the official views of any organization or collective.”, it is obvious to us that the public position of the head of a Communist Party concerning such an important issue requires special attention. On 16th February we received a letter from the editorial team of Political Affairs which invited us to send in our opinion. 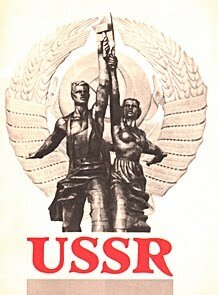 Our party, after studying this article and the reactions it has provoked within the ranks of communists both in the USA and internationally, considers it necessary to take a public position through this letter, as is required by its responsibility as a part of the international communist movement. 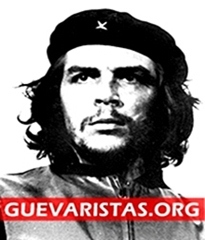 Our assessment is that we are dealing with a comprehensive liquidationist platform of 29 theses which has been placed before the international communist movement and proposes the total revision of the principles and revolutionary traditions of the communist movement. • The handing over of the Party’s archives to the imperialists, the bourgeois state of the USA in 2007. • The closure of the print publication of the newspaper (People’s Weekly World) and the journal Political Affairs, with the simultaneous alteration of its character. • The organizational shrinkage and dislocation of the party. • The political “tailing”, behind one of the two pillars of the bourgeois political system of the USA, that is to say behind the Democratic Party. 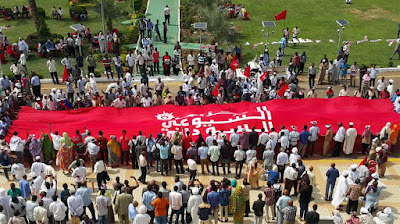 • The blocking of the Joint Statement of the Extraordinary Meeting of the Communist and Workers’ Parties in Damascus, because in the final text there was the position for the withdrawal of the imperialist occupation forces from Iraq. Today the Webb platform comes as the culmination of this course and openly propagandises the abandonment of the Marxist-Leninist worldview, the abolition of democratic centralism, and the undermining of the principles of the party of a new type. It proposes the replacement of our theory by an eclectic hotchpotch which does not go beyond the limits of liberal bourgeois ideology. It attacks Marxism-Leninism directly, which constitutes one of the central laws of the existence and activity of the party of the new type, as V.I.Lenin pointed out: “Without revolutionary theory there can be no revolutionary movement… the role of vanguard fighter can be fulfilled only by a party that is guided by the most advanced theory.” In this specific platform various extremely old opportunist positions are promoted as new (e.g. 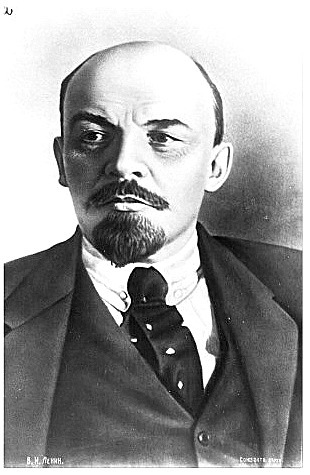 Marxism-Leninism is foreign, anti-democratic, it is a distortion of Marxism by Stalin etc. ), these are positions which disarm the labour movement and surrender it, without theoretical tools, to the claws of the exploitative system. These views “recycle” social-democratic and opportunist theories on economic recession and development which whitewash capitalism and conceal its class essence, leading the Communist Party to give up on its strategic goal and support political proposals, which have as their goal the acquisition of new super-profits by the capitalists, in the name of “ecology”, at the same time when they are turning nature and natural wealth into commodities, and destroying the planet in various ways. It renounces the struggle for socialism. The notion of revolution is entirely absent. It proposes an endless process of successive stages, in which the alliances will be formed not on the basis of the character of the era and the class interests of the working class. Webb proposes working for “- the balance of forces is to shift in a progressive direction”. This view condemns the party to submit itself to the temporary circumstances and not to work with a strategy for the overthrow of capitalism through the concentration of forces. Nevertheless, it is obvious to us, that the tactics of a Communist Party must serve its strategy, which is the overthrow of capitalism and the construction of a socialist-communist society. The position of Webb in practice abolishes the strategic goal of the Communist Party, and finally aims to shake the very character of the Communist Party. Socialism is in any case on the agenda, since we live in the era of imperialism, the highest and final stage of capitalism. 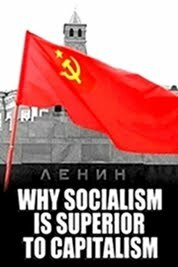 The timeliness and necessity of socialism-communism is projected by the impasses of capitalism, the imperialist wars, the economic crises, the huge social, economic, environmental, ecological and other problems which capitalist society breeds. A Communist Party must form tactics and alliances which facilitate the concentration of forces, the class unity of the working class and the social alliance with the popular strata, with the aim of maturing the subjective factor for the acquisition of power by the working class, and not to be trapped in alliances and stages, which will lead it to struggle under a “foreign flag” in the logic of managing capitalism. This position denies the necessity of the existence of the Communist Party in the USA and indeed in the entire world. The KKE successfully dealt with similar views, when they emerged in our party 20 years ago under the influence of “Gorbachevist” theories. The communists of Greece fought hard to repel these opportunist views, for the preservation of the KKE, for the preservation and strengthening of its revolutionary, class and internationalist character. Today, 20 years later, the communists not only in Greece but all over the world can judge the positive results that the outcome of this battle had for the KKE. The KKE was able to stand on its feet, to elaborate serious theoretical and political issues, without deviating from the principles of Marxism-Leninism. It approved its new programme and came to important conclusions concerning the causes of the overthrow of socialism, enriching its perception of socialism. It has taken significant initiatives for the unity of the communist movement at a regional and international level. It strengthened its bonds with the working class and the other popular strata. The influence of its positions and its reputation has been strengthened as it plays the leading role in the regrouping and development of the class-oriented labour-trade union movement and in the tough strike mobilizations of the workers in our country. 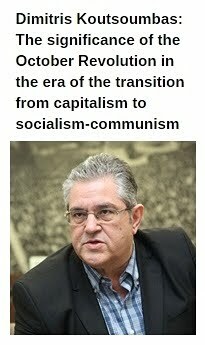 None of the above would have been achieved, if opportunism had prevailed 20 years ago in the KKE. The KKE would have gone down the road of dissolution and the labour-popular movement would have lost its basic pillar of support. But can a Communist Party enlighten the working class, the other popular strata, if it does not have an ideological front against views which present capitalism as the only way, which simply promote different types of management of the exploitative system? The answer of the KKE to this is that it is impossible for the struggle of the people to develop without a firm and consistent ideological front against unscientific bourgeois and opportunist theories. This is especially true in today’s conditions, when the role of the various NGOs has become obvious, which are connected financially and in other ways with the imperialist organizations. In conditions when social-democracy has been in government and has demonstrated in practice that is a pillar of support for the bourgeois political system. In these conditions the communists not only must not give up on ideological work and struggle, but they must intensify the struggle even further against these forces. Webb rejects the Leninist organization, the organization of the vanguard of the working class which corresponds to the needs of the class struggle for the abolition of exploitation. He rejects the Leninist organization because he rejects the struggle for socialism and has taken sides with the bourgeois class for the perpetuation of capitalism. So, a state machine which is both experienced and powerful will be opposed by a “party”, according to him, based on the Internet, with an open door policy for new members as an organizational principle: “Joining should be no more difficult than joining other social organizations”. Thus we can see that not only does he reject the tried and tested organizational principles of the Communist Party of a new type, which were established in the era of Lenin, but he promotes the idea of a party of an NGO type, which corresponds to the content which he himself proposes and is in the direction of a “Communist Party” assimilated into the bourgeois system, which will work for the salvation and “correction” of capitalism and not for its overthrow. Reform is the answer given by Webb to this fundamental question, which was posed a hundred years ago. His view denies that the party is the vanguard of the working class and subordinates its activity to the lowest level of class consciousness (“A party of socialism in the 21st century takes as its point of departure the issues that masses (relative term) are ready to fight for”). Of course a reformist line is proposed as well as the prioritization of the intervention in the institutionsof the bourgeois state. The struggle for reforms within imperialism is acclaimed not only as a “means” buts an end for this “new” party. In reality, when has the path of reforming the capitalist system ever led to the abolition of the exploitation of man by man and the vindication of the workers’ desires? The “recipe” of reforms has been tested by the peoples through various social-democratic and centre-left governments, which in practice have been proved to be the main vehicles for the imposition of anti-people and anti-worker measures, and as pillars of support for the imperialist organizations and wars. Webb calls the class nature of bourgeois democracy into question. As he writes: “what I’m challenging is the notion that everything is subordinate to class and class struggle no matter what the circumstances.” He questions the class nature of the bourgeois state, that is to say the dictatorship of the US monopolies and claims that “thus the nature of the struggle isn’t simply the people against the state, but the people winning positions and influence in the state and then utilizing them to make changes (within and outside of the state)”. This is an old opportunist position which Marx had already rejected in his era, and was revived by the bankrupt eurocommunist current. And this alone would be enough for us to come to the conclusion that the “Marxism”, which is mentioned as being the theoretical basis of the “party of the 21st century”, has nothing to do with Marx but aims at its vulgar distortion, the burying of revolutionary theory, and the deception of the workers. As the Chairperson of the CPUSA has given up on a class approach to society, the abovementioned positions are to be expected. These are positions which not only have nothing to do with the history and struggles of the party he represents, but they bear no relation to reality either. The continuing occupation of Iraq and Afghanistan, the new imperialist war in Libya demonstrate what kind of activity the US government has developed outside its “national shell”. And it conducts similar anti-people activity for the defence of the interests of the monopolies inside its own country. The strengthening of political reaction which is intrinsic to imperialism and is intensifying in the conditions of crisis is interpreted as “ultra-right extremism”. This leads to conclusions which violate the truth and reality, such as "the election victory in 2008 cracked opened the door for another “burst of freedom”", “we say too definitively that the independent forces stand no chance whatsoever of taking over the Democratic Party. That still may be the case, but it is a mistake to rule it out completely at this point.” The equation of the working class and its movement with the trade union bureaucracy of the AFL-CIO is consistent with the political line of alliance with sections of capital. Webb’s article marks an overt siding with the class enemy and a complete alignment with contemporary state-level anticommunism. It calls for “an unequivocal break with Stalin” and lines up with the slanderous assault on socialist construction which offered so much to the Soviet peoples and played the decisive role in the anti-fascist victory of the peoples. In essence, these positions attempt to conceal the reality, the complex problems of the class struggle in the USSR and the tough confrontation of working class power with the bourgeois class in the countryside, the kulaks. It adopts, in essence, every kind of slanderous simplification of complex problems, such as the sharpening of the class struggle in the USSR. The article goes a step further and joins up with Havel, Walesa and all the reactionary anticommunists of the EU who talk of “crimes against humanity”. It lines up with the tendency that attempts to criminalise the Communist Parties and the defence of socialism: “τo describe these atrocities as a mistake is a mistake – criminal”. As is well known the opportunist current in Europe that forms the so called Party of the European Left (ELP) holds a similar anti-historical position. 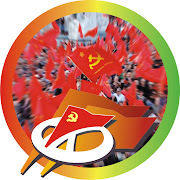 At this very critical moment for your party the KKE calls on you to take into account that the ideological attack against the Party of a New Type focusing on its identity, its character and its organisational principles was unleashed from the very first moment of its existence. The revisionists have always supported the dissolution of the party of the working class; they have always been a pillar of support for the bourgeoisie. The bourgeois class and its supporters understood from the very first moment the role of the party in the political emancipation of the working class and its movement. The ideological attack which was unleashed continues up to the present day as is demonstrated by Webb’s article. We call on you to take into account the fact that the party can only fulfil the role of the proletarian vanguard on the condition that it is equipped with unity of will, unity of action, and unity of strict discipline; wages a ceaseless struggle against opportunism and bourgeois ideology; Its internationalist character stems from its nature; it constitutes an integral part of the world communist movement. Experience confirms and practice which is the yardstick of truth proves that the revolutionary line of struggle not only does not restrict mass work but it reinforces it. It strengthens the expectations of the working people, it provides a way-out and a perspective, it contributes to the change of the correlation of forces. The independent action of the party is a prerequisite for the formation of a policy of alliances that will be subordinated to and serve the strategy for the overthrow of capitalism. In addition, we consider it necessary to take into account that the necessity of the socialist revolution and the construction of the new communist socio-economic formation is not determined by the correlation of forces, which is shaped at the various historical junctures, but by the historical need to resolve the basic contradiction between capital and labour. The counterrevolutions in the USSR and the other socialist countries have not altered the character of our era which is an era of transition from capitalism to socialism which is timely and necessary as shown by the tragedy of the millions of workers and unemployed who suffer from exploitation and the intensification of the problems that the exploitative system causes. We believe that the replacement of the principles of Marxism Leninism by revisionist approaches in the name of national peculiarities caused a great deal of damage to the communist movement and continues to do so. No national peculiarity can negate the necessity for the revolutionary overthrow of capitalism, the necessity for the conquest of political power by the working class, for the socialisation of production and central planning. The economic crisis that broke out in the capitalist world and the intensification of the inter-imperialist contradictions further highlight the timeliness of socialism. Under these conditions the driving back of the new wave of state anticommunism, the defence of the socialism we knew, of its great contribution to the world working class, of the identity and the revolutionary traditions of the communist movement acquire a special importance. Historical experience, the developments themselves have refuted the views that spoke of “the end of history”, the “obsolescence of Marxism-Leninism” and the “end of the Communist Parties”. On the contrary, today there is a stronger need for the existence of Communist Parties that have roots in the working class and the workplaces, which believe in Marxism-Leninism and proletarian internationalism. The labour movement must consciously act and rise to the challenge to ensure the existence of a revolutionary party of the working class. This is a crucial duty and a challenge for the most advanced workers and for communists in all the countries of the world and of course above all in the USA. 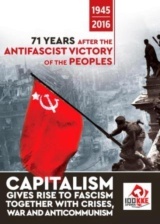 The consistent confrontation with and rejection of this opportunist-liquidationist platform is a requirement which springs from the historical traditions the labour and communist movement in the USA, it is a condition for the revival of revolutionary communist ideals in the US labour movement and society. The International Relations Section of the CC of KKE. What kind of 'Left' does Jeremy Corbyn represent?